Pictures from my special trips. EDITOR’S BLOG. There are destinations that will leave you cold, not wanting to ever come back. They might be interesting enough – grand architecture, fancy bars, long beaches and world famous ruins, churches, arts and boulevards. But as you get on the plane for the next destination, you know instantly that this is it. I’ll never come back. Then there are the others, not so many perhaps, places that just fit. They might not have the finest buildings, best food or greatest monuments. But nevertheless they are your places, set to occupy a special spot in your mind and heart forever. As I guess all travelers do every now and then, I went through old travel pictures the other day. I came up with this list, a highly personal collection of ten places that I’m glad that I went to. These sorts of cities and countries are probably the ones, as I wrote in another blog post recently, where you would consider going twice. There is a more serious angle to all this. We live in uncertain times, where wars and conflicts sometimes divide countries in two, overthrow governments over weekends and turn peaceful societies into chaos while you were asleep. As an example, a friend went to Mali, northern Africa, a year ago and visited the world-unique Islamic shrines there. Since then, rebels have seized the power in northern Mali and, being of the fundamentalist sort, destroyed much of the temples. We see violent transformations like this happening all the time. Then there is the economic growth and the changes it brings about. It can be argued that the world you read about in the newspaper one week ago is not the same world as today’s. And the countries you went to a year ago might have become unrecognizable due to rapid growth, construction projects and increased wealth. While the former is undoubtedly bad and the later is usually considered a good thing – as it brings people out of poverty – both processes share a common characteristic: They do change the world into something new and different. This is certainly true about at least some of the travel destinations on my list below. So, if nothing else, I’m glad that I went to these places because of the fact that they might no longer exist. 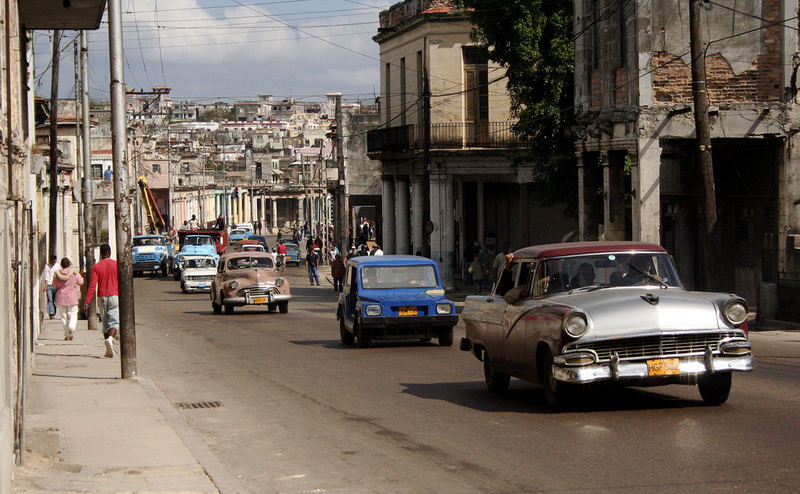 Old vintage cars in Havana, Cuba. Having survived eleven U.S. Presidents, Fidel Castro’s spirit still hangs over Cuba, the small Caribbean island that just won’t give up. Although many Cubans want a change from the hardline communist regime that has ruled the country since 1959, with Fidel’s brother Raul running the show these days, the isolation has created a world and an atmosphere that is unique. And many old Cubans might even compare the Castro brothers with the corrupt era of Batista that preceded them, and find that the world after 1959 actually has improved in a few ways. It was cold winter back home when I went to Cuba to celebrate the new year in Havana. Running into strong headwind, the airplane ran out of gas and had to land on a small airfield in Canada to refuel. But that is another story. We flew to Havana from Varadero in a small domestic propeller aircraft, and as we walked up to the reception desk in our hotel, one of the staff members explained that they had no rooms left. But as one would expect with a country and a people used to make do with whatever they have to overcome obstacles, lack of rooms was no problem. “Talk to that guy,” said the portier and pointed towards the entrence. A shady figure was standing there with no apparent function other than observing people as they passed by. “He’ll find you a place,” the hotel staff member said convincingly. And he did. We ended up staying two or three nights in a family’s apartment in downtown Havana, a home in a huge concrete block with wooden jalousies in the window frames and the noises and sounds from a thousand Cubans gearing up for the New Year’s Eve streaming through the door. There were two parents, both of whom had studied in university and had good jobs, with two kids. From what I remember, they made about $15 a month. We payed the same amount for one night’s accommodation, dinner included. We slept on mattresses on the floor in the kid’s room. As we had dinner, Fidel Castro began one of his famous speeches, broadcasted on state TV. But, at least here, he had not to bothered – acceptance for his policy in this particular apartment turned out to be nonexistent, we found out with our stumbling Spanish. Then came the New Years Eve. We were rushed into a neighbor’s apartment and were forced to dance salsa. We had considerable amounts of rum. On the rooftop late that night, all kids of the building, lacking fireworks, indulged in throwing buckets of waters down on cars and cyclists on the street to celebrate. The proud, friendly and, even with scarce financial resources, well-dressed Cubans made this an unforgettable trip. And I’m forever glad that I traveled to Havana. On the Brooklyn Bridge, New York, September 2000. New York City might not be viewed as the most creative choice of destination, but since I’m not an American, going there for the first time in 1994 was something extraordinary. It was wintertime, and the sight of steam coming up from the streets, all the yellow, gas-guzzling Chevy Caprice taxis, the Stock Exchange, Ellis Island and the WTC Twin Towers on lower Manhattan were of course incredible. New York is one of those places where the first impression will always be remembered. And I just loved the place. 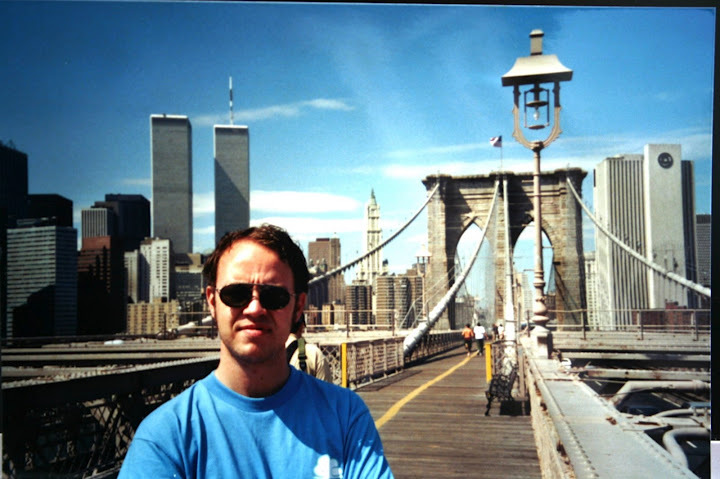 I’ve been back many times, especially in 2000 in September when we walked the Brooklyn Bridge and went partying at a bar on the highest floor down at the World Trade Center. One year later, on the day, two hijacked airliners changed everything – New York, the U.S., the world. It feels good to be able to remember a part of New York from before 9/11, 2001. A world that, in a broad sense, does no longer exist. It’s not necessary to go on in length about the Visayas, Fiji, where I went with a friend in January of 2010. Let’s just say that this is the closest I’ve been to paradise. Some say the Cook Islands might be better – I wouldn’t know, not yet, but as far as I’m concerned, Fiji is good enough. 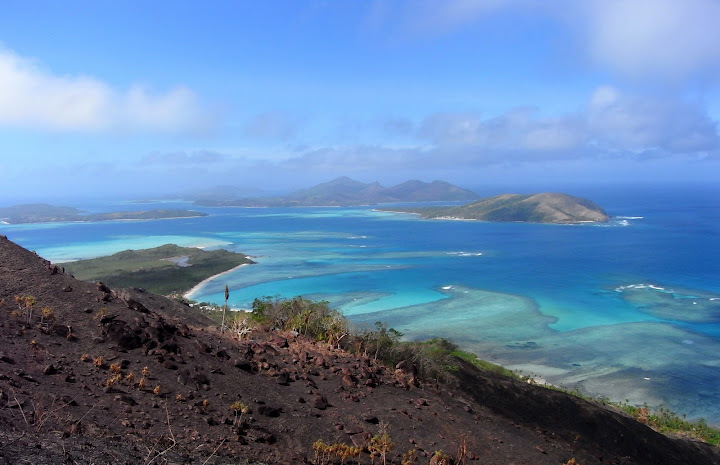 If you want to know more, please read our Fiji guide. This small country in the middle of the Pacific also turns out to be, along with New Zealand, the farthest away from home that I’ve ever been to date. As good a reason as any to list it. Along a beach just outside the city of Chittagong, Bangladesh, the world’s largest ship-breaking yard stretches out for several kilometers. At full speed, doomed ships are driven up on the sand at high tide, to be scraped by cheap labour. They do it by hand, with sledge hammers, torches and steel cables connected to huge diesel driven winches on shore. This is the backside of global trade and commercialism. It’s a scary place. And dangerous. In 2010, the industry was booming. Shipping companies had ordered too many new ships, and they were busy getting rid of old single-hull tankers due to new regulations. The old ones were sent to Chittagong, and a few other places like it, such as Alang in India, and sold to hungry scrap yard companies, whose owners were making fortunes. The water here is poisoned and workers die in accidents when large metal parts fall down, or when fumes in old oil tanks explode. But while scraping ships by hand is without any doubt one of the worst jobs a man can have, the scrapping business is an important part of Bangladesh’s economy, enabling the country to import cheap steel that it would otherwise have to buy on the open market. 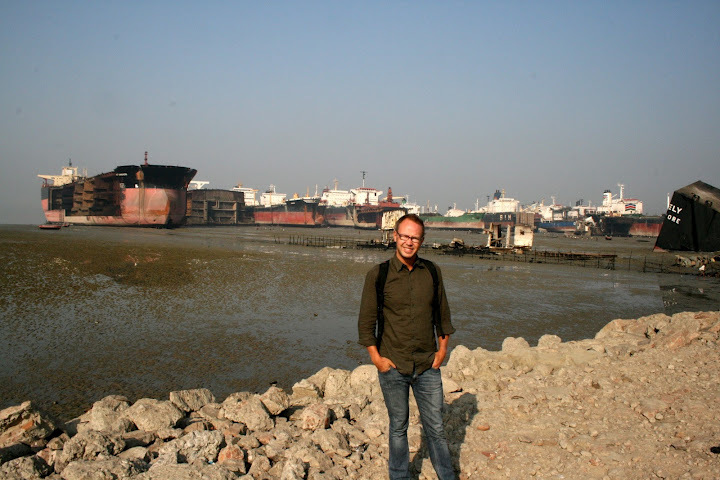 As a travel destination, the ship-breaking beach is the craziest place I’ve ever been to. Read my story from the visit here. 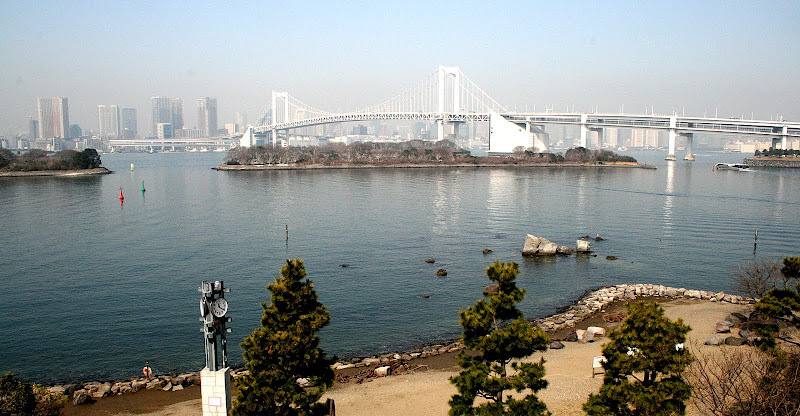 View over Tokyo from the artificial island Odabia. To summarize Tokyo in a few sentences is impossible. Let’s just say that this great city shows off all the good things (and some of the bad) that large cities can offer. Not that Japan hasn’t got problems – the economy is struggling, the nuclear disaster following the tsunami last year has left large areas abandoned and made thousands Japanese refugees in their own country. 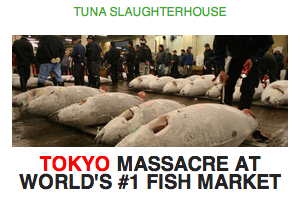 But Tokyo is still worth a visit. 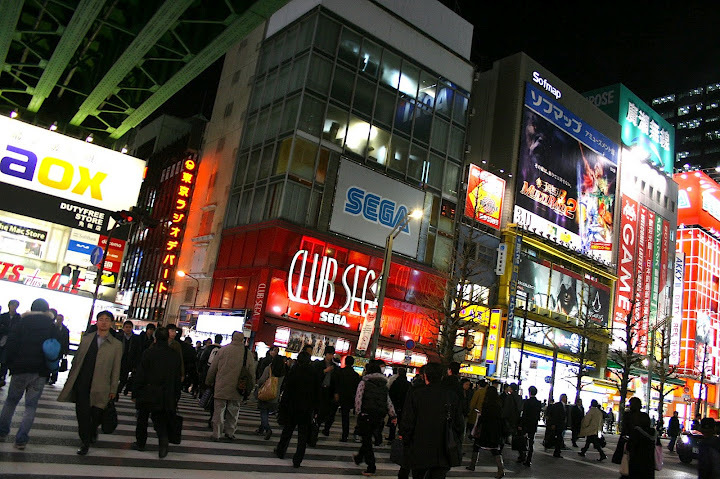 Man-made islands, the world’s largest fish market, Tsukiji, the Ginza shopping area, and an overflow of great restaurants are enough reasons to make a visit. Above all those things, there is the sense that you somehow has become a part of the “Lost in Translation” movie. Everything seems normal, but, as you take a closer look, it is just a little different. 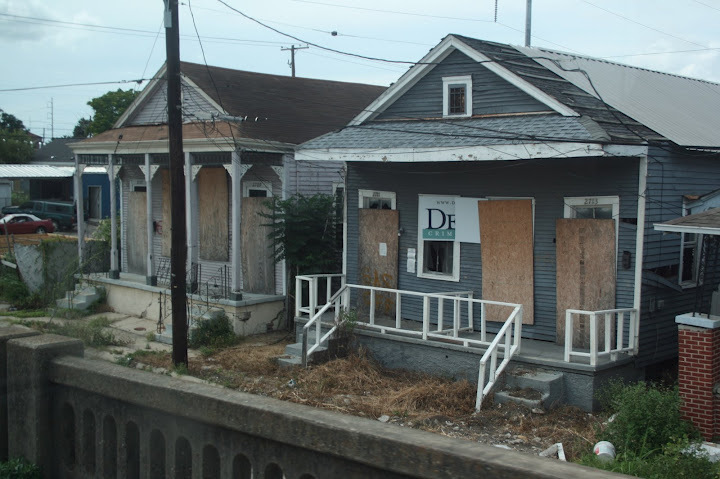 An abandoned home in New Orleans after Katrina. The horisontal line on the walls shows the water level after the flooding. The United States is the world’s richest country. How interesting, then, that as the Hurricane Katrina swept in over New Orleans in 2005, the U.S. government failed so miserably to handle one of the worst disasters ever to hit on American soil. I’ve been to New Orleans both before and after Katrina. Mardi Gras, to be sure, was one hell of a party. The food, the mystic of the South, the people, the Mississippi, the bayou, the jazz – New Orleans is unique in so many matters. Enjoyable, culture-rich, full of scenic views. 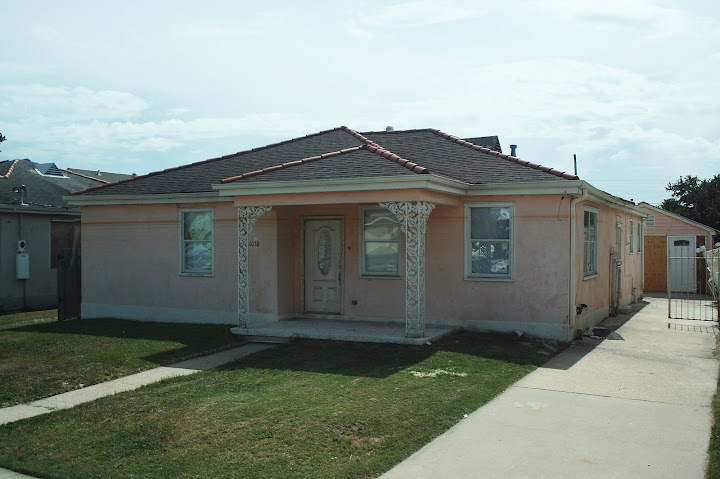 But I never saw a clearer failure of modern engineering, a more vivid picture of the collapse of a society, than when I went around in the neighborhoods that were flooded by Katrina. On my last visit in 2008, three years after the hurricane, thousands of homes were still empty. The picture here shows one of them. People had simply disappeared, not wanting to come back perhaps. With grocery stores, markets, gas stations and schools still abandoned after so much time, with lines on their walls showing where the water level had been, it’s a wonder if New Orleans can ever return to what it was before the hurricane Katrina. It’s a pity. 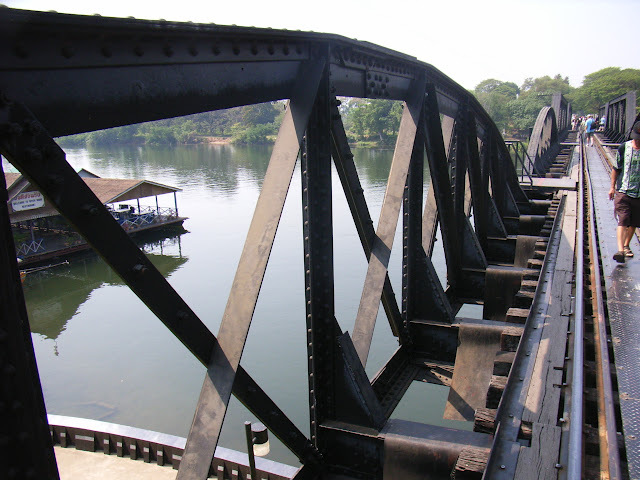 The Bridge on the River Kwai, Thailand. I must have seen it at least twenty times. “The Bridge on the River Kwai“, starring Alec Guinness as the die-hard British officer turned war prisoner forced to build a bridge for the Japanese army, was close to the ultimate adventure movie. 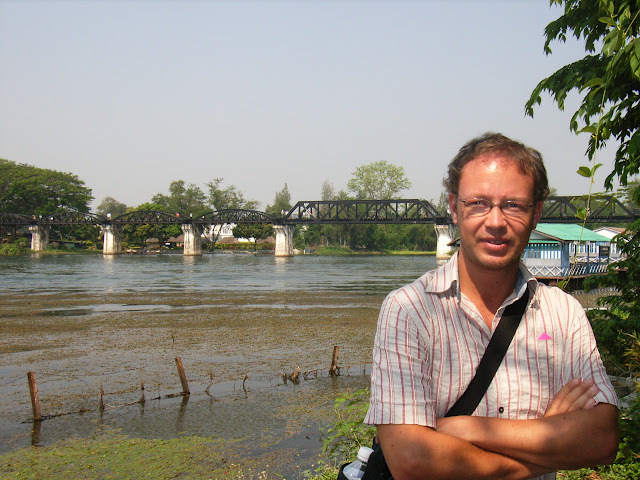 And the bridge actually exists, to this day, in the northwestern part of Thailand. Not the original, but another that was built after the first one was destroyed. I’ve been there, I’ve walked on the bridge and traveled across it on an old smelly diesel train. Many tourists have, it’s not even hard to get there, just head to the nearest tour operator in Bangkok and they’ll bring you. But that’s not the point. The point is that this is a historic landmark, made immortal by a great movie. I like those places. There are hundreds, if you think about it – the bar in Key West (or in Havana for that matter) where Hemingway went to drink (I’ve been to both). Lombard Street in San Francisco, where Steve Mc Queen drove his Ford Mustang in “Bullitt” (been there too). Or, for that matter, Kobe in Japan that was hit by a disastrous earthquake in 1995. Not that Kobe is any special (I know, I’ve seen it), but just because it happened there, no place else. You see my point? 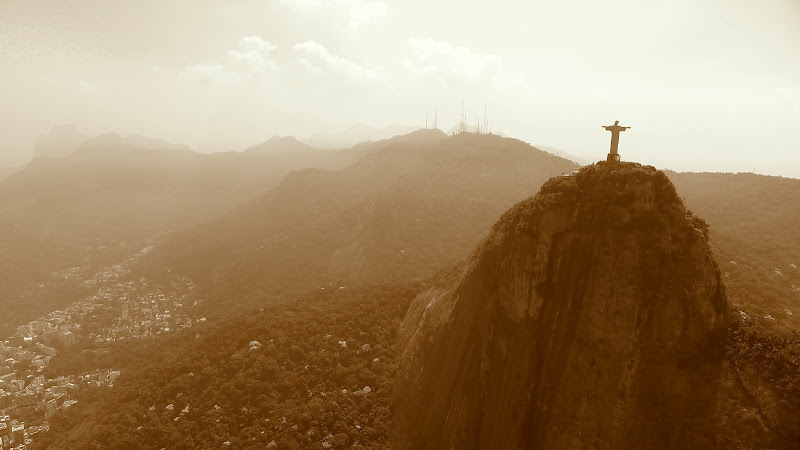 The Statue of Christ, Rio de Janeiro. Some might say the Carnival is the only reason for going to Rio. I say it isn’t, but I guess that is a matter of personality. When we landed there last winter, the spectacle was already over and done with, and the great city of Rio de Janeiro was coming back to normal. No, Rio is bigger than the carnival. Here, you see extreme wealth and bottomless poverty on the same street. Rio offers some of the most spectacular urban views on earth. The best way to take it all in is to go in a helicopter over the city, which we did. Read about it here. Some travelers like cities, some don’t. 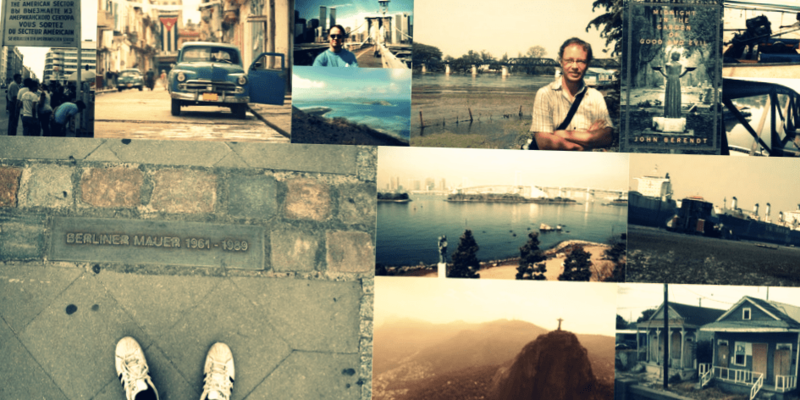 But if you do, Rio de Janeiro is impossible to skip – beautiful, dangerous, rich, poor, all in the greatest of settings. The city is trying to wipe out all its bad parts. With both the World Football Championship and the Olympics coming up, Rio’s politicians and it’s corrupted police force make large efforts to take control over favelas and to battle drug runners, all to create a safer metropolis. According to news reports, it is not going too good. But with so much at stake, Rio de Janeiro is bound to change in one way or another. To the better, we would hope. Where the Mauer once stood. There was once a divided city, splitting up Europe, a standoff between East and West. A playground for agents and spies, and a stage for the world’s politics. 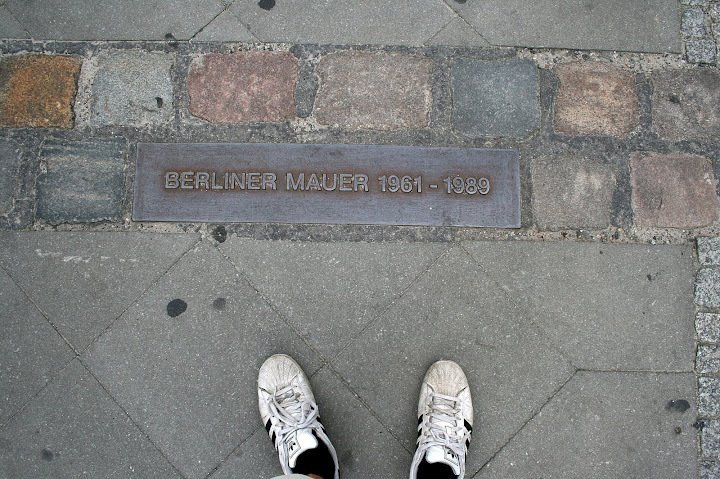 If I would have to chose one moment in modern history to travel back to, it would have to be when the Berlin Wall, “die Mauer”, fell in 1989. What an extraordinary story. Berlin, though, has kept lots from that era. 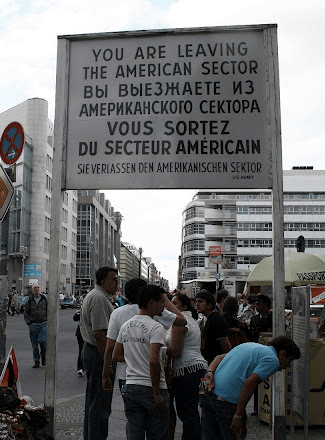 Parts of the wall remain, as well as the historic passageway Checkpoint Charlie, but that is really secondary. Rather is it the general feeling of Berlin today that makes it one of Europe’s greatest travel destinations. It may be a large city, but the sense as you walk through parks and streets, many of which are quite run-down, and pass the old former government buildings of Hitler’s terror regime, is instead that of a mid-size town. Where else in a capital can you find whole blocks of totally abandoned buildings, in a state of deep disrepair, that are just left standing there on expensive ground? There are no Manhattan-inspired skyscrapers, although the futuristic parliament and its adjoining buildings bring in some of what modern architecture has to offer. Prices in Berlin are curiously low, and rents for apartments are said to be extremely cheap, compared to other world cities of the same size. And then there is all the history – Berlin is a museum, holding tales of some of the world’s worst moments, and some of its best. So much has happened here, and if you are into history you are bound to appreciate all it has to offer. One of the Nazi’s smallest concentration camps, the Sachsenhausen, lies about 35 north of Berlin. It is a scary place, and well worth a visit. The caracteristic overgrown trees of The South. While studying at a university in North Carolina once, I took a class in American History. The books about the Civil War, bitter, deadly and stretching our for four long years, aroused my interest for the era of Margaret Mitchell’s “Gone With the Wind“, when The South was more than just a way of life, as it is now. 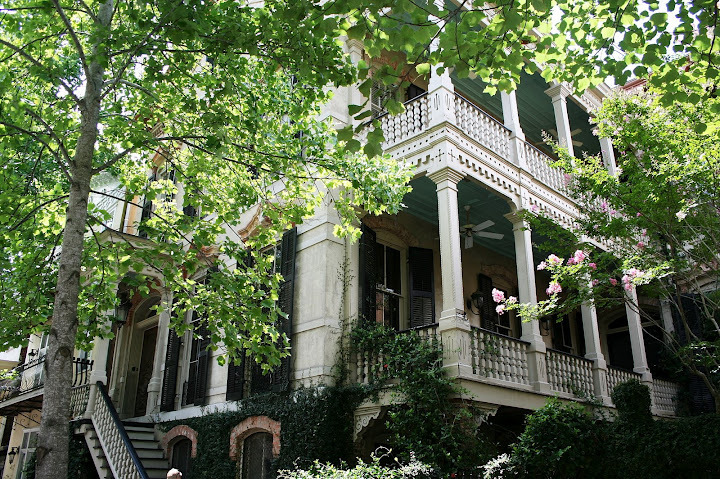 A visit to Savannah, Georgia, is to step right back into that era. Not that the KKK is waiting around every corner, but the pleasant town is unique in so many ways. 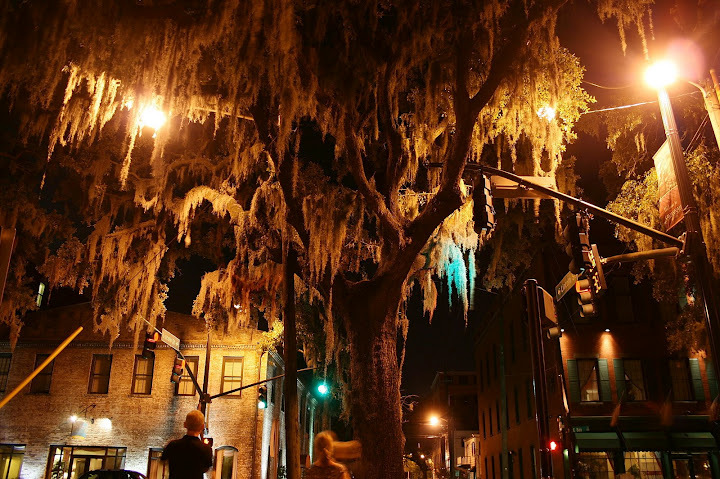 The townhouses have been thoroughly restored, the many squares with the Southern-type trees and vegetation, the slow way of life – all that and much more make Savannah a part of something that has almost been lost in today’s America. 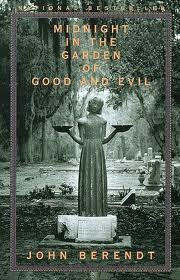 At my first visit to Savannah, the hype about John Berendt’s book “Midnight in the Garden of Good and Evil” seemed to be at its peak. There were tours running around town that pointed out all the spots from the book. The story, based on true events, takes part in the 1980’s, and you will probably appreciate a Savannah more if you read the book, and watch the 1997 movie based on it, directed by Clint Eastwood, prior to your visit. Simply because I like chaotic cities, I guess I like Manila. It is as simple as that. Read this story if you want to know more. Great views, rich history, good food, fine beaches, mountains, old Moorish castles, winding roads. Do I need to say more? Spain has lots to offer, and it is sometimes easy to forget that it was under the brutal dictatorship of Franco not too long ago, as well as plagued by a civil war. A good advice is to read Ernest Hemingway’s story from the Spanish Civil War, in which he took part, “For Whom the Bell Tolls“.